Named a Best Book by Entertainment Weekly, O Magazine, Goodreads, Southern Living, Outside Magazine, Oprah.com, HelloGiggles, Parade, Fodor's Travel, Sioux City Journal, Read it Forward, Medium.com, and NPR's All Things Considered. In the spring of 1885, seventeen-year-old Jessilyn Harney finds herself orphaned and alone on her family's homestead. Desperate to fend off starvation and predatory neighbors, she cuts off her hair, binds her chest, saddles her beloved mare, and sets off across the mountains to find her outlaw brother Noah and bring him home. A talented sharpshooter herself, Jess's quest lands her in the employ of the territory's violent, capricious Governor, whose militia is also hunting Noah—dead or alive. 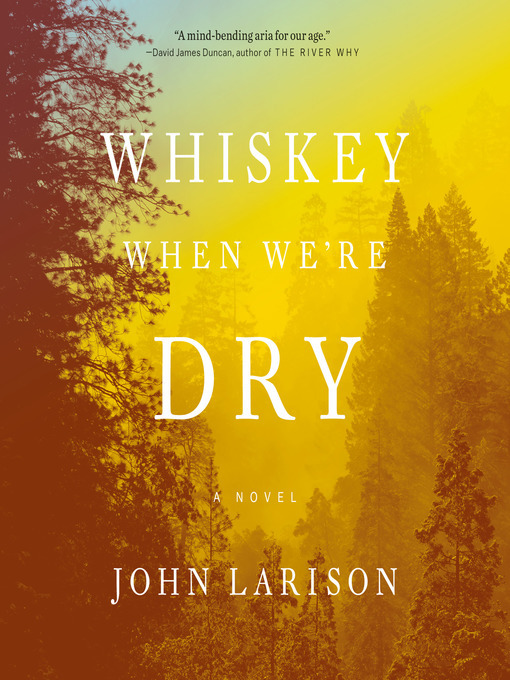 Told in Jess's wholly original and unforgettable voice, Whiskey When We're Dry is a stunning achievement, an epic as expansive as America itself—and a reckoning with the myths that are entwined with our history.